We are very lucky to be the provider of choice for the Bare Butts Smoke Shop in Orillia. 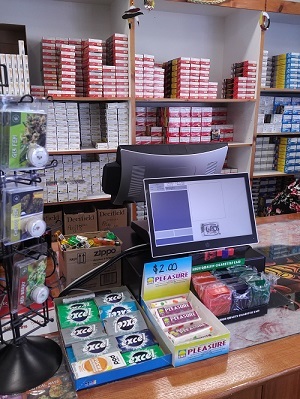 Our client knows exactly which POS System will best suit his needs and make his business successful. Add an amazing software solution and you have a recipe for success! 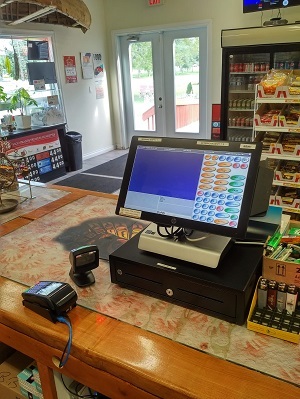 There is no doubt that our customer’s retail environment is the ideal setting for the reliable HP RP9 POS and the Single Station Receipt printer. However, it is not enough to have the right hardware. Having the right POS software is a decision that no business can take lightly. Software costs thousands of dollars and choosing the wrong one can have a severe impact on a business’ financial growth. L-POS is an easy to use, fast and secure point of sale software made specifically for retailers seeking rapid transaction entry and secure data recording. Moreover, design the screens easily to simplify your transactions. This widows-based solution provides all the tools required to manage retail operations more efficiently and provide a superior customer experience. Contact us today and speak to one of our helpful sales personnel. They will be happy to assist you with all your business’ needs!